Since the last menu posting in October, I have added four updates on Avastin vs. Lucentis; two updates on AMD; and five new original postings (actually one is a re-posting from another author). The new postings include a “first report” on the Oraya in-office X-ray treatment for AMD; two writeups on the First Ophthalmic Innovation Summit; a report on the Avedro microwave treatment for reshaping the cornea; and another “first report” on the Notal Vision at-home device for “monitoring” the progress of AMD via telemedicine. In late October last year, the CMS surprised everyone by announcing that they would be repricing the reimbursement of Avastin, essentially cutting the reimbursement for doctors from about $50 per dose, to about $6.25. Update 32 described this announcement. Then, a few days later, I received the official wording for reinstating the higher reimbursement, but not effective until January 1st, leaving prescribing doctors in limbo for lost revenues if they continued using Avastin. I discovered a new retina blog by Dr. David Khorram. On his blog, he reported on Dr. Dan Martin’s talk at the 2009 AAO about the status of the CATT Study and other international head-to-head studies. In this posting, I reproduced Dr. Khorram’s writeup. Avastin/Lucentis Update 35: The CMS Does the Full Monty on Code Q2024 for Avastin! The CMS finally got its act together and rescinded the ruling it had issued earlier. Physicians will now get reimbursed the full $50 for doses of Avastin, as they were previously allowed prior to October 1st, including reimbursement for lesser amounst billed during the interim. In Update 31, I reported on IOP spikes following some Avastin injections for AMD, as reported by Dr. Malik Kahook in a talk he gave at the 2009 AAO Meeting. In this update, Dr. Kahook expounded on his previous remarks during a talk he gave at the Royal Hawaiian Meeting held in January, explaining he believed it was caused by large particulate matter found in some vials of the compounded drug. With the permission of the publishers of Retinal Physician, I was able to reproduce the excellent overview written by Dr. Philip Rosenfeld, of the drugs in development and in clinical trials for treating the dry form of AMD. This is an up-to-date treatise on all of the drugs known to be in the pipeline for dry AMD. Thanks to a friend in an AMD support forum, I was able to make contact with the team running the London Project to Cure Blindness, and obtain an update on their status. A new company with a treatment for wet AMD came out of “stealth mode”, and allowed me to present information on how it’s system worked and the results of it’s initial clinical trials. Here is an in-depth presentation of the Oraya IRay radiotherapy system. Just prior to last Fall’s AAO Meeting, I learned about this pre-AAO Meeting featuring small and developing ophthalmic companies, that was sponsored by a venture capital group. I was able to gather information about the 25 company presentations and put together this overview of what transpired. In February of this year, I learned that a friend of mine had attended the OIS Meeting and had written up a comprehensive review of its proceedings. I obtained permission from the meeting’s sponsor to reproduce Larry Haimovitch’s writeup, and presented this updated version on my Journal. In May of 2009, I first wrote about this company and its work in using microwaves to reshape the cornea. This report is a followup on new developments announced by the company in treating both keratoconus and the first clinical trials for altering refraction in normal, non-keratoconus eyes. Finally, in late January, I came across a press release about Notal Vision receiving FDA approval for its device to monitor AMD patients in their homes. Since I had not previously heard of either Notal Vision or its monitoring device, I did a little research and got quite excited about the potential for this approach to detecting changes in vision of people suffering from AMD. Upon discovering that I knew the president of the company, I requested permission to do an in-depth writeup of the device, how it works and its market potential. This report is the result. During the last week of January, I spotted a news release about a company that I had never heard of before, and its device to monitor dry and wet AMD patients in their homes. After thinking about this for a short while, I realized that this device could have a huge potential in letting retinal physicians know how quickly the disease was progressing in their patients eyes. I did some research into the company, Notal Vision, and quickly found out that I knew its president, John Moore, from my former consulting career. I got in touch with John and after a long conversation about his new company and device, asked for permission to tell the “story behind the story” about how the company started, how the device works, and its potential to save or preserve vision for thousands of early-stage wet AMD patients. Here, then, is that story. Blindness due to the onset of age-related macular degeneration (AMD) is the leading visual problem among those over the age of 65 in the United States and the world. In the U.S., there are currently over 18 million people with the disease. Fortunately, only about 10% are afflicted with the “wet” form, which causes blindness, while about 90% have the “dry” form, which is a precursor to the wet form. However, as shown in the accompanying table, about 9 million people in the U.S. have either intermediate or advanced dry AMD, and 15%-20% will progress into wet AMD within about 5 years. In 2007, it was estimated by Market Scope, based on NEI/NIH data, that 1.4 million Americans had advanced wet AMD (CNV or choroidal neovascularization) and, without intervention and treatment, could lose significant vision or become blind. With the aging of the population and people living longer, these numbers will only increase. Table 1.– AMD Cases in the U.S. by Type and Stage in 2007, based on estimates by Market Scope, made from NEI and NIH data developed in 2000. Ophthalmic Market Perspectives, Market Scope, June 2008. As also noted in the table above, there are no people in the early wet AMD classification. This is because the 220,000 or so people transitioning from the advanced dry state into the wet are not detected until their disease has progressed into the intermediate stage, with fairly large lesions in their retinas and significant visual acuity loss. If the changes in retinal health of a patient at high risk of transitioning from advanced dry AMD into early wet AMD could be detected early enough and treated with current anti-VEGF drugs (Lucentis and/or Avastin), visual loss could be held to a minimum. This is the promise of this new device developed by Notal Vision. Notal Vision was founded in Tel Aviv, Israel in 2000 by two ophthalmologists, Drs. Barak Azmon and Yair Alster. Along with other research scientists, they were determined to reduce vision loss associated with AMD. Working with leading experts in the field, this team of medical professionals and scientists developed a new technology for monitoring AMD. This new technology, the Forsee Preferential Hyperacuity Perimetry (PHP) visual field analyzer was developed and tested. In clinical trials conducted by the company, the Foresee PHP provided excellent detection of choroidal neovascularization (CNV), demonstrating 82% sensitivity and 88% specificity. The technology also has the potential to detect other visual distortion conditions due to macular disturbances, such as pigment epithelial detachment, histoplasmosis, epiretinal membranes and central serous retinopathy. The Forsee PHP obtained FDA 510 (k) marketing approval to detect the formation of drusen associated with dry AMD, and to monitor for the conversion into the wet stage of AMD in April 2005. The clinically-based professional version of the PHP was sold to Reichert Ophthalmic Instruments in November 2009, so that the company could fully invest its time and resources in the home-based PHP device. 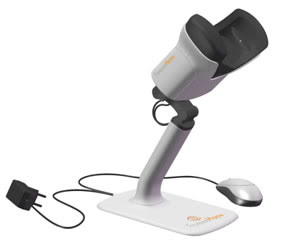 About 500 of the professional model Reichert PHPs are now providing eye care professionals around the world with valuable clinical data for monitoring patients with AMD, while the home-based device, the ForseeHome AMD Monitor has just received FDA marketing approval (December 2009) and is in the process of being launched commercially. As noted below, the management team is composed of several ophthalmologists and other professionals with years of experience in the ophthalmic sales and marketing fields. Barak Azmon, MD – Co-founder and CEO. Dr. Azmon formerly worked at the Ophthalmology Department of the Tel Aviv Sourasky Medical Center. Prior to founding Notal he founded and managed an educational company. Yair Alster, MD – Co-founder and Medical advisor to the company. Dr. Alster is the former head of the Ophthalmology Outpatient Clinic at the Tel Aviv Sourasky Medical Center, and has worked as a clinician and researcher in the field of retinal diseases. John Moore, President – Mr. Moore has over 30 years of industry experience. He was formerly the CEO of Laser Diagnostic Technology (LDT), a $30 Million Ophthalmic Company which was acquired by Zeiss in October 2004. Prior to leading LDT Mr. Moore held senior positions in Alcon, $2.5 Billion Pharmaceutical corporation, Zeiss - $2 Billion multinational company with its primary business in optics, medical and semiconductor products, and Coherent, the largest U.S. Laser Manufacturer. Gidi Benyamini, Executive VP – Prior to joining Notal VisionTM, Mr. Benyamini was VP of Engineering and Manufacturing at LaserComm, a telecommunications company based in Dallas, Texas. Prior to that he held various managerial positions at Scitex. Garrett O’Connell, VP Sales and Marketing – Mr. O’Connell has over 19 years of management and sales experience in the eye care industry. Mr. O’Connell previously served as Director of Business Development with Sightpath Medical. Prior to that, he served as Director of Sales with Laser Diagnostic Technologies, Central Regional Manager with Optos, as well as past sales positions with Zeiss Humphrey, and Storz Instrument Co/Baush & Lomb Surgical. He holds a BS in Business Administration with a major in Marketing from St. Louis University . Hadar Levy, VP Business Development and CFO -- Mr. Levy has over 13 years experience in accounting and finance. Prior to joining Notal Vision, Levy was the Finance Manager of GE Healthcare Technologies in Israel. Prior to that he spent several years in the US, working for Deloitte in both the medical and hi tech fields. He holds an MBA degree from the Faculty of law & Business Administration in BarIlan University and is also a CPA. Muki Rapp, Ph.D. VP Research and Development -- Prior to joining Notal Vision, Dr. Rapp worked as a senior SW engineer in several start-up companies. He holds Ph.D. and M.Sc. in Neuroscience and B.Sc. in Computer Science from the Hebrew University of Jerusalem. Miri Sani, VP of Clinical and Regulatory Affairs -- Prior to joining Notal Vision, Mrs. Sani worked in several Start-up companies in the cardiovascular and gynecological fields. She also worked as a regulatory and clinical consultant for Start-up Companies from the early stage to FDA and CE clearance. The ForeseeHome AMD Monitor is the first telemedicine ophthalmic device approved by the FDA for linking patients and doctors between eye exams, for ongoing monitoring of wet age-related macular degeneration. This telemedicine-based home monitoring system, based on the Forsee PHP technology, gives doctors access to valuable patient data through a secure online connection, allowing frequent and personalized monitoring of patients at risk of vision loss from the devastating effects of wet AMD. The personal home monitor is not intended to diagnose eye disease, but rather to track changes in the characterization of central and paracentral metamorphopsia (visual distortion) in patients with age-related macular degeneration, as an aid in monitoring progression of disease factors causing metamorphopsia including but not limited to choroidal neovascularization (CNV). It is intended to be used in the home environment for patients with stable fixation. The Foresee Home device will not be useful in patients who have unstable fixation. o Who have a recent non-macular ocular surgery. The ForseeHome is designed to be user friendly, from unpacking and installation to test monitoring and usage. It uses a projection screen that is viewed through an un-occluded ocular. The patient uses a mouse pointer to identify the disturbance pattern projected in the viewer and guides the disturbance pattern back to a central fixation point, to initiate each subsequent presentation. The test takes three to four minutes per eye. A typical test, showing the patient moving the test spot back to center. After each test sequence, the results are automatically transmitted via a telephone linkage to a data monitoring center. The test results are evaluated by computers at the monitoring center and compared previous results (including a baseline initial test result). If a change is detected that surpasses the built-in algorithms, the monitoring center issues an urgent notification to the patient’s physician so that he/she can call in the patient for further examination and/or treatment. • Phase 1. During the first several days of testing, the results are used to establish a baseline reading. • Phase 2. Consistent retesting performance is used to statistically strengthen the baseline. If, however, there is a change in performance during this period (the next three weeks), the data-monitoring center will be alerted. • Phase 3. The third phase is termed the “usage period.” During this ongoing phase, any statistically significant change in the pattern of the test results relative to the first two phases will generate an alert. Once the data-monitoring center is alerted, the clinic associated with the patient is notified so that an emergency follow-up visit can be scheduled with the treating clinician. * Privileged on-line access to patient's information according to role (eye care professional, data monitoring center, administrator, patient). The ForeseeHome has been evaluated in contrast to Amsler grid (AG) testing as a home monitoring device, and has demonstrated significantly greater sensitivity than the Amsler Grid among patients with CNV and intermediate AMD. In a study that evaluated frequency of ForeseeHome usage,(3) 15 subjects with AMD were followed for seven months, and were told only to use the device at their convenience at home, as frequently as possible. The subjects elected to use the device an average of 3.7 ± 1.7 times/week. Half of the subjects were “organized,” using the ForeseeHome at regular intervals (4.9 ±1.4 times/week). The other half of the subjects tended to use the device more spontaneously (2.1± 0.8 times/week).5 Testing several times per week is recommended to monitor for early changes in vision, particularly in active CNV cases. In a recent study(4) to evaluate the ability of the home device to discriminate between choroidal neovascularization (CNV) (wet stage) and non-neovascular (dry) intermediate age related macular degeneration (AMD) patients, the home device had good sensitivity and specificity in discriminating between newly diagnosed CNV and intermediate non-neovascular AMD patients. A secondary objective was to determine if sensitivity dependent on lesion characteristics. In 66 CNV and 65 intermediate AMD eyes, sensitivity and specificity were both 0.85. In the retrospective part (34 CNV and 43 intermediate AMD), sensitivity and specificity were 0.85. In the prospective part (32 CNV and 22 intermediate AMD), sensitivity and specificity were 0.84 and 0.86 respectively. This study concluded that the at-home device had good sensitivity and specificity in discriminating between newly diagnosed CNV and intermediate AMD patients. Sensitivity was not dependent on lesion characteristics. With the recent FDA marketing approval, the company plans a controlled rollout over the coming months. Initially, Notal Vision will work with twenty large U.S. retinal specialist practices to identify those of its patients at high risk to convert from intermediate- or late-stage dry AMD into early-stage wet AMD. The physicians will write a prescription for the selected patients who, upon filling the Rx (and paying the up-front fee), will be mailed a device and instructions for its use. In this way, the company expects to have 300 to 400 devices in use by this summer. Pricing has yet to be determined, but it is anticipated that there will be a one-time up-front payment and a monthly continuing fee. Part of the payments will go back to the referring physician. It is yet unclear if Medicare or private insurance plans will pay for these diagnostic devices. In addition to the rollout described above, the company has been invited by the National Eye Institute (NEI/NIH), the sponsors of the AREDS2 clinical trial to provide 500 home devices, to be given to an ancillary cohort of patients participating in the trials. Half of 1000 patients will be given the Notal devices for evaluation, while the rest will be evaluated using the Amsler Grid. This device meets an unmet need, that of detecting wet AMD in its very earliest stages, before significant vision loss has occurred. By working with retinal physicians to identify those of their patients that are at high risk to transition from advanced stage dry AMD into early stage wet AMD, the company hopes to place its ForeseeHome monitor in the hands of those at-risk patients and track progression of the disease to detect the very earliest signs of CNV. In this way, the physician will be able to treat the patient’s disease before significant visual acuity has been lost and, hopefully, maintaining “good” vision. Using the numbers from the table shown at the beginning of this writeup, the immediate market for the device is in the order of 800,000 people, give or take a few that cannot fixate. And, with about 200,000 people being diagnosed with AMD each year, as well as a portion of the intermediate dry AMD group that progress into the advanced stage, the potential for saving vision with this device is huge! I also believe that this device will find use in both the intermediate and advanced wet AMD groups, to monitor progression of their disease between anti-VEGF treatments and between doctor appointments, to detect changes that should lead to an immediate doctor visit and/or treatment. Another very large group of potential users. 1. Age-Related Eye Disease Study Research Group. A randomized, placebo-controlled, clinical trial of high-dose supplementation with vitamins C and E, beta caroteen, and zinc for age-related macular degeneration and vision loss: AREDS report no. 8. Arch Ophthalmol 2001; 119: 1417-1436. 2. Samantha Slotnik, OD. Portable and At-Home Tech for AMD – An Update on Portable and at-home diagnostic instruments that can be used to monitor the onset and progression of AMD. Review of Optometry, February 17, 2010. 3. Loewenstein A, Ferencz JR, Yeshurun I, et al. Comparison between the ForeseeHome perimeter and the Amsler gird, in patients with Age Related Macular Degeneration. Poster presented at American Society of Retinal Specialists (ASRS). Maui, Hawaii, October 11-15, 2008. 4. Loewenstein A, Ferencz JR, Lang Y, Yeshurun I, Pollack A, Siegal R, Lifshitz T, Karp J , Roth D, Bronner G, Brown J, Mansour S, Friedman S,Michels M,Johnston R, Rapp M, Havilio M, Rafaeli O, Manor Y. Towards earlier detection of CNV secondary to AMD: multicenter evaluation of a preferential hyperacuity perimeter designed as a home device . Retina. 2010, In press. 1. Das R, Shi Y, Silvestri G, Chakravarthy U. Distortion maps from preferential hyperacuity perimetry are helpful in monitoring functional response to Lucentis therapy. Retina. 2009 29(7):1013-8. 2. Lowenstein A, Lang Y. Frequency of usage of the ForeseeHome, a home perimeter for early detection of choroidal neovascularization. European Society of Retinal Specialists, Nice, France: May 15, 2009. 3. Anderson C, Pahk P, Blaha GR, Spindel GP, Alster Y, Rafaeli O, Marx JL. Preferential Hyperacuity Perimetry to detect hydroxychloroquine retinal toxicity. Retina. 2009 29(8):1188-92. 4. Loewenstein A, Ferencz JR, Yeshurun I, et al. Comparison between the ForeseeHome perimeter and the Amsler gird, in patients with Age Related Macular Degeneration. Poster presented at American Society of Retinal Specialists (ASRS). Maui, Hawaii, October 11-15, 2008. 5. Loewenstein A. The significance of early detection of age-related macular degeneration: Richard & Hinda Rosenthal Foundation lecture, The Macula Society 29th annual meeting. Retina 2007;27:873-8. 6. Alster Y, Bressler NM, Bressler SB et al. Preferential Hyperacuity Perimeter (PreView PHP) for detecting choroidal neovascularization study. Ophthalmology 2005;112:1758-65. 7. Goldstein M, Loewenstein A, Barak A et al. Results of a multicenter clinical trial to evaluate the preferential hyperacuity perimeter for detection of age-related macular degeneration. Retina 2005;25:296-303. 8. Loewenstein A, Malach R, Goldstein M et al. Replacing the Amsler grid: a new method for monitoring patients with age-related macular degeneration. Ophthalmology 2003;110:966-70.